LEE, Maine — Outrage over the fate of Michael Severance’s infant son helped motivate Texas true-crime author Diane Fanning to publish her account of the Lee native’s grisly 2005 murder in San Angelo, Texas, she said Wednesday. 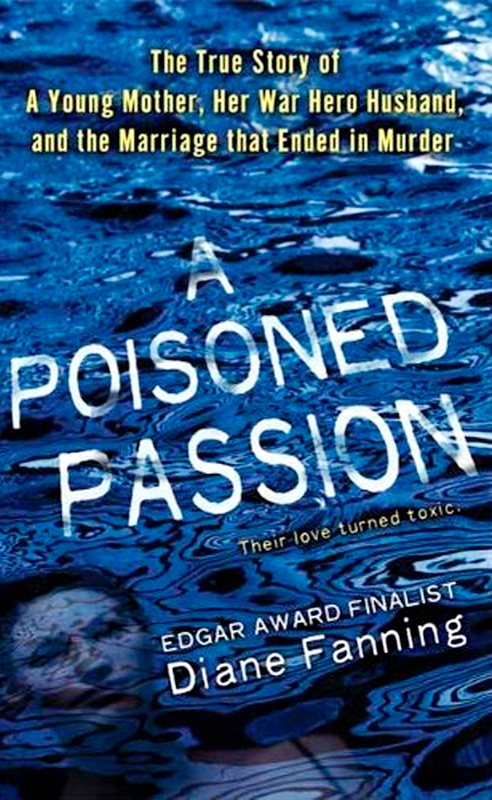 Published by St. Martin’s True Crime Library, Fanning’s “A Poisoned Passion” is available at book outlets nationwide. It details how the 24-year-old Air Force staff sergeant’s bloated body was found in March 2006 on land owned by an influential San Angelo landlord and how investigators meticulously traced the crime to Wendi Mae Davidson, Severance’s wife. A veterinarian, Davidson was accused of poisoning her husband of four months on Jan. 15, 2005, with drugs used to euthanize animals, weighing his body down with car parts and cinder blocks and dumping it in the pond owned by Terrell Sheen, a Davidson family friend. Severance’s body was stabbed 41 times postmortem to keep it under. Davidson pleaded guilty and is serving a 25-year sentence for the murder in a Texas prison, yet Shane Michael Severance remains in the custody of Davidson’s parents, Judi and Lloyd Davidson of San Angelo. Fanning finds that hard to take. “That child should not be around those people. I think that is outrageous and totally unjust,” Fanning said Wednesday. “It is a bad environment for a child to be in, with two people who have demonstrated that they will talk badly about his father. They made it very clear how much they could not stand him and have made very nasty accusations against the victim’s parents. “It just outrages me that the little boy is not living in Maine,” Fanning added. In writing her 274-page paperback, Fanning interviewed several Severance family members by telephone, including Michael’s father, Lee resident Les Severance; his brother, Frank Severance; and Les Severance’s girlfriend, Brinda Leighton of Lee. The book notes, with some incredulity, how the same Texas Child Protective Services worker who pulled 430 children from their fundamentalist Christian parents last year — a decision overturned in appeals court and upheld by the Texas Supreme Court — could have ignored clear evidence of Lloyd Davidson’s abusive nature. The evidence, Fanning wrote, was found in a blackmail audiotape Wendi Davidson recorded of her father in which he ranted at her for about 22 minutes. She later testified that she had made the tape out of fear that her parents would refuse to give her other son, Tristan, back to her. Leslie Severance did not immediately return telephone calls seeking comment. His attorney, Thomas Goff of San Angelo, said he liked Fanning’s work, but disagreed with her on one point: He, like the Severances, does not believe Davidson committed the murder without help. Frank Severance said that he liked the book, but wished it told his family more that it didn’t already know. “There’s no smoking gun,” he said. Copies of the book at Borders in Bangor have sold out, but are on reorder, a clerk there said last week. A resident of New Braunfels, Texas, Fanning has written nine true-crime novels, three fiction mysteries and an anthology.